Perfumes are released all throughout the year, but come fall, more and more start popping up. The Holiday Perfume Parade. Totally not a thing, but it could be. 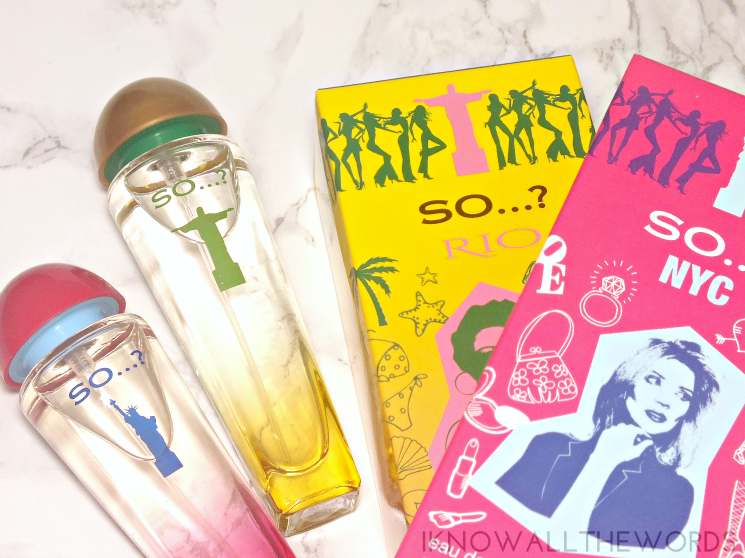 Perfume and the ubiquitous perfume set make for easy gift giving, so it only makes sense. Read on for a few new scents with something for every budget. Avon has added another scent to the Outspoken by Fergie range, with the new Outspoken Party! by Fergie. The pretty raspberry coloured spray is a fruity floral blend of peony, raspberry, and creme brûlée. I find the floral peony notes take a backseat to the raspberry, with the hint of creamy sweetness from the cream brûlée coming through as more vanilla than caramel. The scent is fun and light would be an especially great gift for tween-teenaged girls. Also new from Avon, Avon Attraction for Her. This scent is focused around musk accord with blackberry as the top note and a base of amber. The musk is most predominant, giving this scent a sultry sexiness, while the fruity hint of blackberry adds a feminine sweetness and amber adds warmth to the base. I'm a long time wearer of Paco Rabanne Lady Million, and from the first spritz of Attraction knew something smelled familiar. There are definite similarities. While Attraction isn't quite a dupe, the amber does give them a similar feel, especially once fully dry. In the budget department, I've got two fun scents from the new So...? Couture Collection. Taking inspiration from four major cities (NYC, Rio, London, and Paris) the scents are available in body spray and eau de toilette form. NYC comes clad in a pink box featuring Lady Liberty on the pink and clear ombred bottle. The woody-floral scent combines top notes of lychee, peach, and violet. Middle notes of orange flower, jasmine, and rose, and base notes of patchouli, cedarwood, and praline. I'm unable to identify the individual floral notes, but they do make up the majority of the scent with the woody and warm patchouli and cedarwood being predominant in the dry down. Rio comes in similar packaging, but in yellow and featuring Christ the Redeemer. The tropical scent combines top notes of citrus, pineapple, mango, and melon. Middle notes of jasmine, orchid, and hibiscus and base notes of amber, vanilla, and musk. I don't find the warmer base notes come through much, with the fruity top notes sticking around most. No perfume roundup is complete without a foray into the world of celebrity fragrance. Nicki Minaj has added another doll to her range, with the recent launch of Nicki Minaj The PinkPrint. I have to say, while it's creative, I find the doll packaging kind of creepy (it brings back a childhood fear of this commerical.) 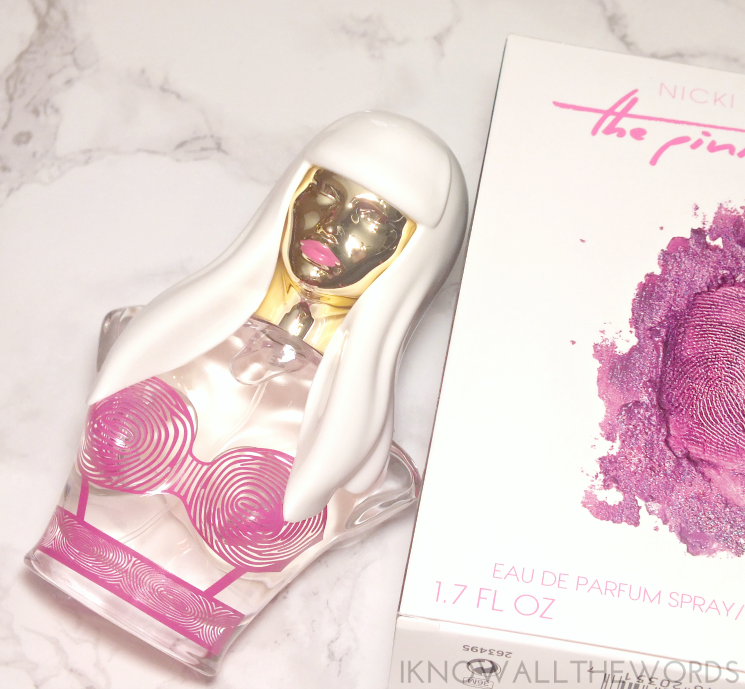 The doll bottle is unique to this fragrance, with all of the other Nicki's being clad in differing outfits and wigs. The scent is fresh and clean, with a bit of sweetness thanks to the combination of bergamot, pink grapefruit, and passion fruit in the opening, followed by mid notes of nectarine, frangipani, orange blossom, heliotrope, and rose. The base combines coconut, driftwood accord, sandalwood, patchouli, and skin musk. There is a lot going on, but the overall scent is really nice. There is a fresh-clean element to it that is reminiscent of fresh laundry, and really, who doesn't love that? Juicy Couture is back again with another scent. 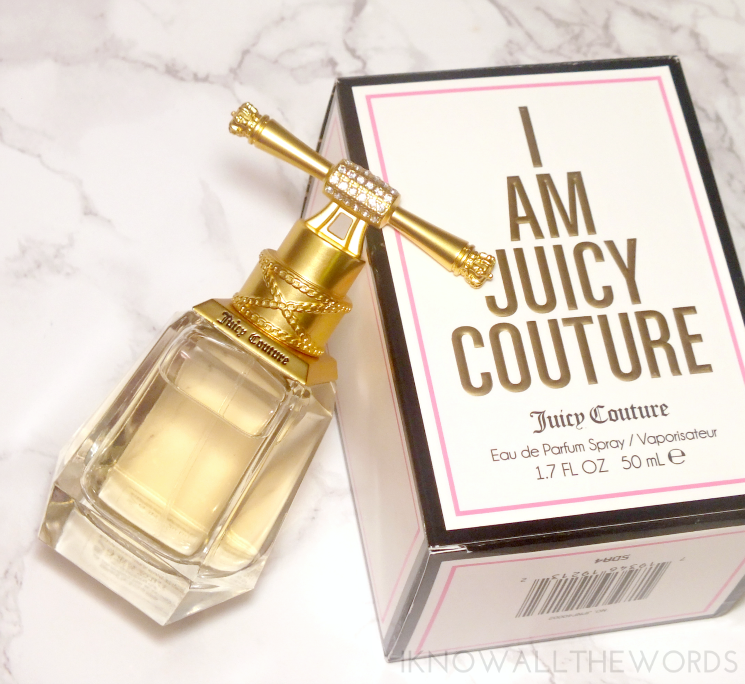 I am Juicy Couture joins the family with a new bottle style and sweet-floral scent. The bottle shape replicates the cap seen on the previous Juicy scents, but is far from boring with an ornate, stone encrusted gold topper. The scent is going to suit sweet fans, as the juicy fruit notes are quite predominate. Opening with raspberry, pomelo and passion fruit, followed by a floral middle with gardenia, heliotrope, sweet pea, and rose de mal. The base warms the scent with soft musk, warm woods, and amber. I really love this scent (I do enjoy a bit of sweet) as the fruity raspberry and floral blend makes for a bright scent but never becomes cloying. Lastly, a holiday release from Yves Rocher. 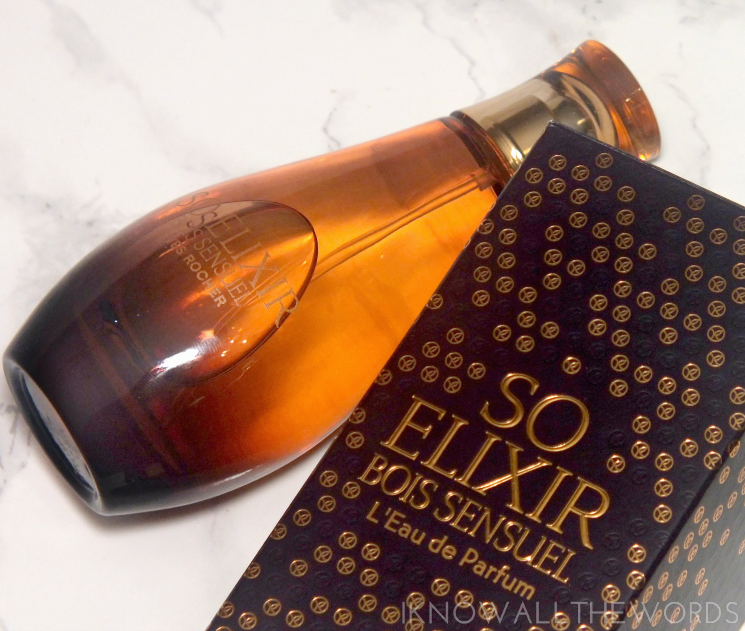 Yves Rocher So Elixir Bois Sensual joins the So Elixir family in am amber ombre bottle matching the rest of the range. The scent seems simple as it's a combination of just three notes- iris, patchouli, and vanilla- but they come together beautifully. The scent is warm and a bit spicy, with a woody-floral blend. It's amazing! The scent is warm and sultry, but still perfectly wearable for everyday. It's a great winter scent and fans of So Elixir Vanille Noir will love the woody vanilla base. And... that is that. I have been loving So Elixir Bois Sensual and I am Juicy Couture most from this group, but each of these scents has their charms. Do you like giving or getting fragrances as gifts? Any of these interest you?